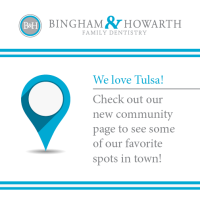 We LOVE our Tulsa Community! Dr. Kevin Howarth and Dr. Seth Bingham both grew up in the Tulsa Community. There is a reason they chose to build their practice here: They LOVE Tulsa! 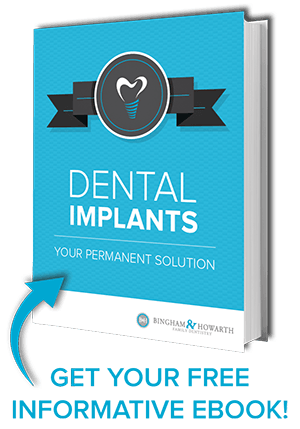 As much as they love being dentists, they also love spending time with their friends and family at some of the great spots around town. We were talking in the office about some of the many things we enjoy about our Tulsa community and decided we should put together a list of some of our favorites to share. Please visit our new page that is entirely DEVOTED to our Tulsa Community! Looking to plan your next date night? A fun outing with the kids? Just looking for some great recommendations for something new to try? We have you covered! Click here to read more: A Quick Guide to the Tulsa We Love! We hope you find some new favorites among our recommendations. Feel free to share in the comments or on our Facebook page any of your personal Tulsa favorites that we missed!